Everyone has heard horror stories of apartment rentals gone bad, whether due to a barking pit bull next door or a termite invasion that won’t go away. Finding the right apartment can be a gruesome, tiring search. Don’t let yourself get wowed by a pleasant facade; before you sign a lease, there are some essential questions you must ask your landlord. Here are the 10 most important. 1. Do all the appliances work? It seems obvious that the appliances should work, but don’t be so sure. Often the landlord hasn’t tested them, and you certainly aren’t going to run a load of laundry in your brief apartment tour. Ask the question and make your landlord responsible to fix them if they end up not working. "The lease should indicate what appliances are included and that they are in good working order. Test the appliances immediately after moving in and put complaints and requests for repairs in writing," recommends Carl D. Goodman, an attorney located in Lynn, Massachusetts specializing in commercial and residential landlord-tenant law. 2. Is there an insect, rodent or bed bug problem? This is information you will want to know, and hopefully you will get an honest answer. I think everyone will agree that one of the last things they want to see when they move into their new home is a welcome greeting from a mouse. In addition, "bed bugs are a common and very difficult problem. Ask your landlord about infestation problems," cautions Attorney Goodman. Bed bugs live in the wood in furniture, bedding, couches and walls and are a nightmare to remove. If there has been a history of bed bugs in the apartment, then make sure your landlord has done ALL the necessary steps to get rid of them and can provide a document from his exterminators detailing the measures taken. If not, run for your life and do not sign the lease! 3. Will you paint before I move in, and may I supply the paint color? In most cases the landlord will repaint the apartment before you move in. Ask before you sign a lease to make sure this is the case. You might also ask whether you can supply your own paint colors. Often landlords comply since they are going to repaint after you move out anyway. 4. 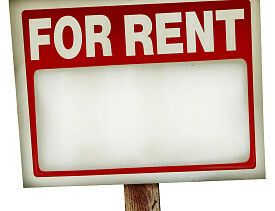 Which utilities are included in the rent? The answer to this question often makes or breaks the rental; a reasonable rent can easily be overshadowed by having to foot all of the utilities. Find out exactly what your rental fee covers before signing a lease. 5. What is the maintenance policy? Find out which repairs you are liable for, and what exactly the landlord will cover. Often the tenant is responsible for minor repairs that cost under a certain amount of money (usually $50) and the landlord covers larger repairs. Have this information written into the lease so as not to be stuck with any surprises. "In some states, certain minimum standards of fitness apply and the landlord cannot shift the responsibility to the tenant for those conditions," explains Attorney Goodman. 6. Is the neighborhood safe? Ask the realtor to give you a copy of the local crime report if you are unfamiliar with the neighborhood. The number and type of crimes provide a telling description of the area. Attorney Goodman advises, "Visit the neighborhood in the evening and early morning to see whether the locale is appropriate for you. Be sure that public transportation and parking are adequate and safe." 7. Who were the last tenants that lived here and for how long? The answer to this question gives a lot of insight into the landlord and the building. A tenant who lived in the building for a long time indicates a satisfied customer. High turnover, however, doesn’t always indicate dissatisfaction with the apartment, as in college towns where students are constantly moving in and out. "In some states privacy laws may prohibit the release of that information," according to Attorney Goodman. 8. Has the Landlord been cited for violation of housing codes? Attorney Goodman comments, "In many states, if a landlord fails to make required repairs within a reasonable time, the local office of inspectional services or Health Department can order that repairs be made. The records of inspections and violations are public. A telephone call to the government office asking for information on inspections for the premises can be very helpful. The mere existence of prior violations or orders to repair does not mean that the landlord is not a good one. But multiple orders or a history of failing to correct violations promptly should be a red flag. If there have been recent orders relating to pest or rodent infestation, make further inquiry as to the extermination schedule." 9. Does the landlord evict many tenants? "Check with the local courts to see which specific courts have jurisdiction of eviction cases. The plaintiff-defendant indexes are public records. See whether the landlord has a high volume of evictions. If so, the landlord may not screen tenants well and that could mean potentially bad neighbors or a landlord who is very aggressive in enforcing the lease," warns Attorney Goodman. 10. What does the lease say, exactly? Attorney Goodman points out, "Most landlords use a form lease. Every form is different. Be sure that everything you have been promised is included in the lease. If the landlord won’t write something that was discussed into the lease, it is possible that the landlord will not honor the verbal promise." Leah Batkin writes for Networx.